By making a yeast starter for your beer the quality of your homebrew can be dramatically improved . Home brewers often toss a packet or vial of yeast into their beer without much thought to the quantity needed. Though modern liquid brewer’s yeast smack packs and vials are a huge improvement over older dry yeast packs, these packages do not contain enough yeast cells for optimal pitching. Underpitching results in slower startup, higher risk of infection, off flavors and sometimes incomplete fermentation. How Much Yeast is Enough for your Yeast Starter? In general, lagers require a larger starter than ales. George Fix’s book “An Analysis of Brewing Techniques” recommends pitching rates of 0.75 mllion cells an ale and 1.5 million cells for lager. The number is measures in million of cells per milliliter per degree plato. Converting to homebrew units, his ale figure translates to 4 billion cells per point of original gravity per 23 litre batch (1.048 original gravity would be 48 points or 192 billion cells). For a 23 litre homebrew, lets use the figure of 192 billion cells. An average White Labs yeast vial contains around 100 billion cells of active yeast. Therefore without a yeast starter, you would need two yeast vials to reach optimal pitching for our 5 gallon example. The large Wyeast activator packs contain around 100 billion cells as well, so again you would need two packs. The smaller smack packs contain only 15-18 billion active cells, so you would need 11 for the same 23 litre batch. Keep in mind you would need to double the above figures for a lager. Fortunately, creating a yeast starter is an excellent alternative to purchasing large quantities of yeast. 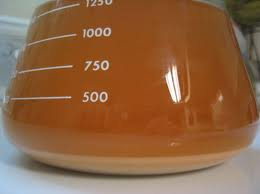 Research varies, but a yeast starter of 1 litre will yield approx 150 billion cells and a two litre starter will yield from 200-240 billion cells. So a 1.5-2 litre starter is sufficient for an average 23 litre batch. Creating a starter is very easy. You want to start 18-24 hours before your brewing session, so the yeast can reach an active state before pitching. If you are doing a two stage starter, allow 18-24 hours for each stage. I use a large pyrex flask, but a very clean pot is a suitable substitute of you can cool it quickly. 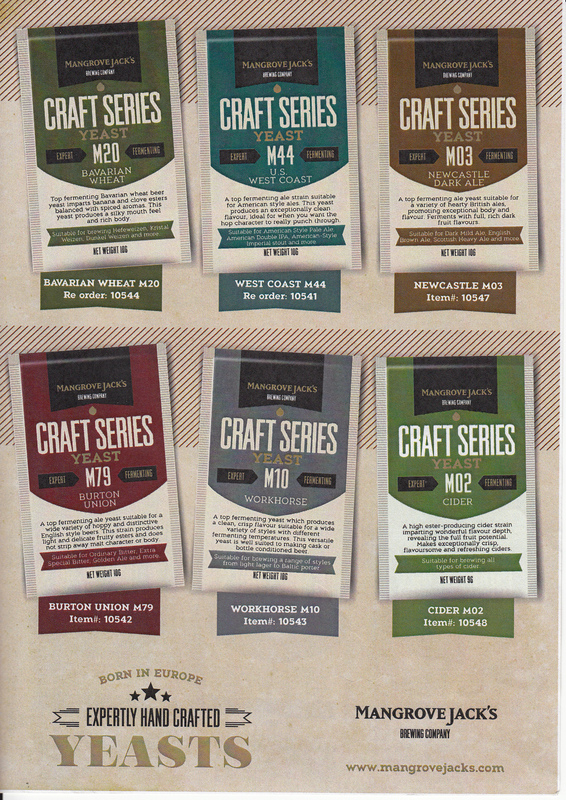 Dry malt extract is easy to store and use in small quantities. Aim for a target gravity of around 1.040. Alternately, use this rule of thumb: 120 grams of dried malt extract per litre will give you a good starter. Dissolve the dry malt extract, boil it for 10-15 minutes to make sure it is sterile, and then cool it quickly in an ice bath and transfer it to a sanitized container. 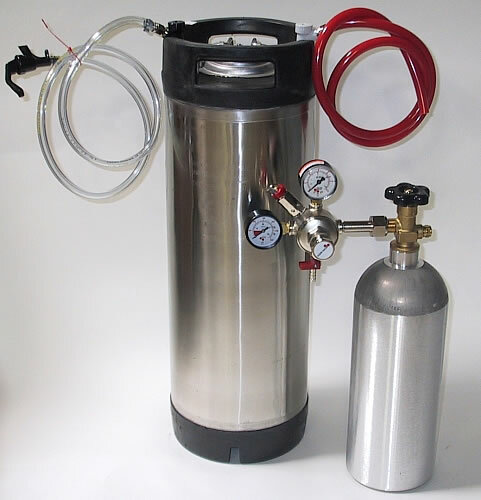 Once it reaches room temperature, pitch your yeast and seal the container with an airlock to prevent contamination. Allow the starter to ferment between 18 and 24 hours. Pitch the entire contents of the starter into your batch of beer to get an active, robust start. Pitching yeast at the proper rate will significantly reduce the lag before active fermentation begins, promote complete fermentation, reduce the risk of infection and improve the overall quality of your beer.